joseph ford is a london-based photographer working on advertising and editorial imagery, as well as landscape and aerial photography. your eyes aren’t fooling you — these models are carefully camouflaged into their surroundings without use of any digital manipulation. 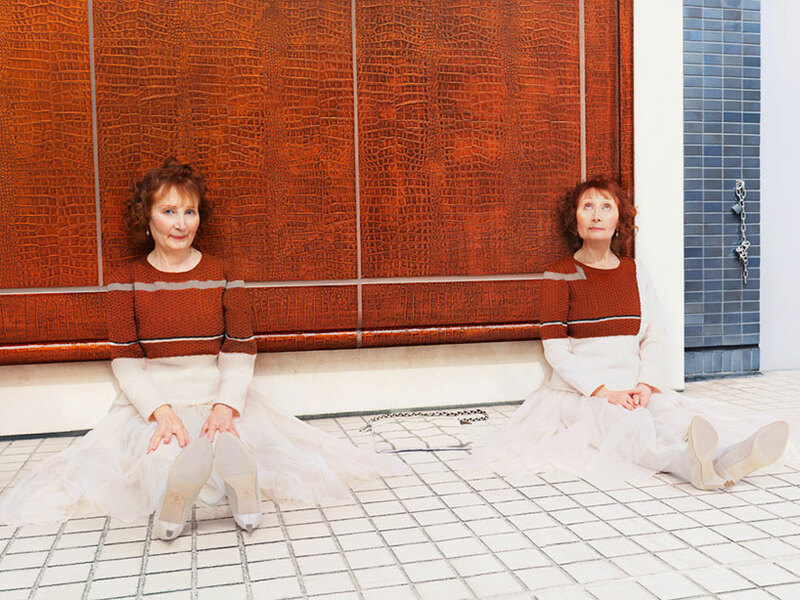 each subject is wearing meticulously-knitted garments tailored to blend seamlessly with their surrounding environment. 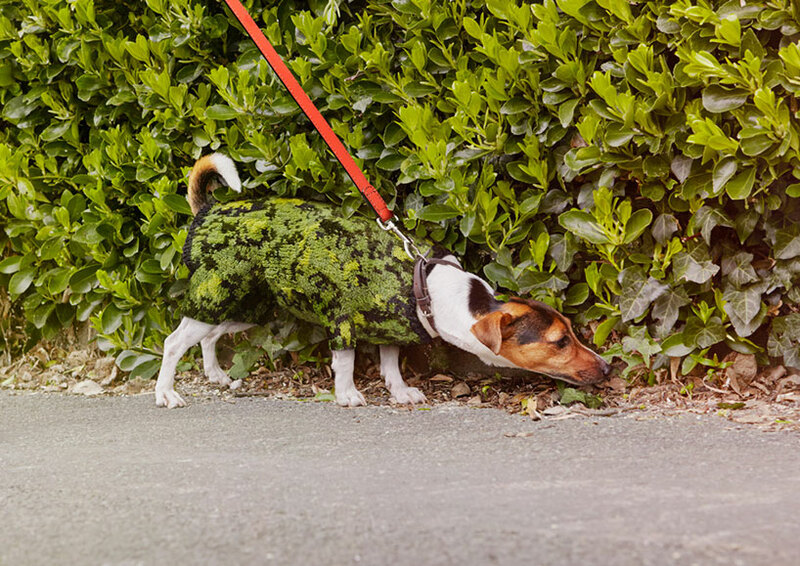 ‘knitted camouflage’ is the brainchild of photographer joseph ford, who worked with knitting friend nina dodd on a collection of custom hand-sewn sweaters. 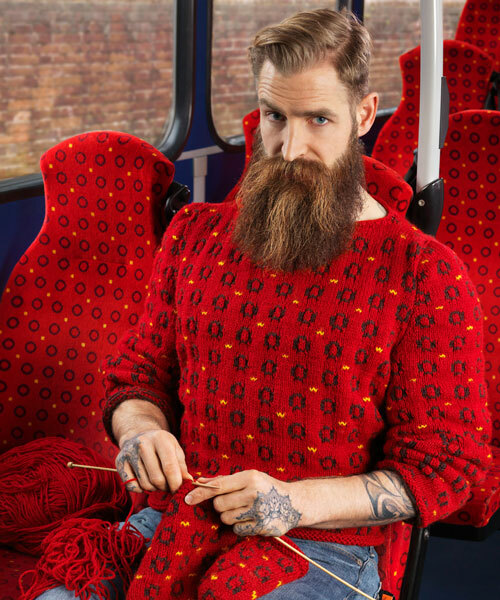 ‘all the clothes are real, not photoshopped,’ ford tells us. 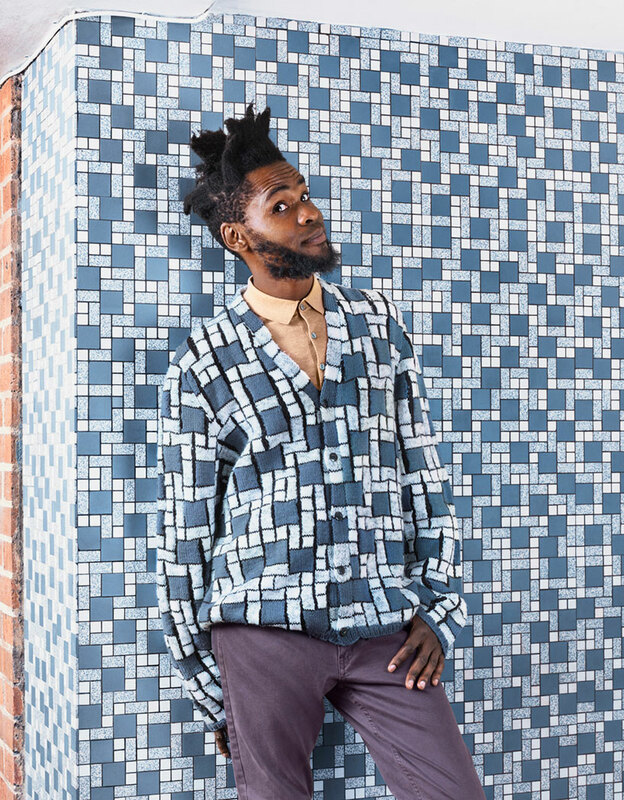 ford worked closely with dodd on a range of printed patterns suited to match urban backgrounds, like a bus seat, a tiled wall and a running track. 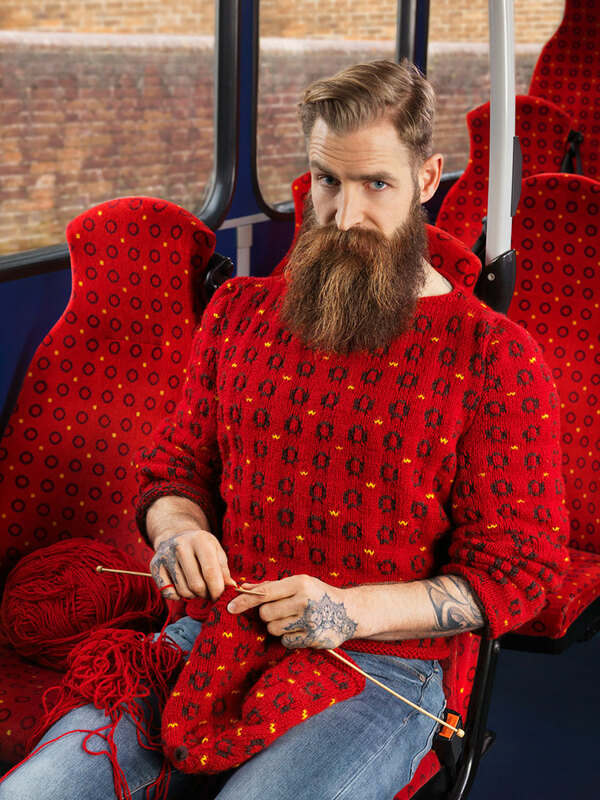 the knitted compositions are both complex and carefully coordinated to exactly match their selected surrounding. 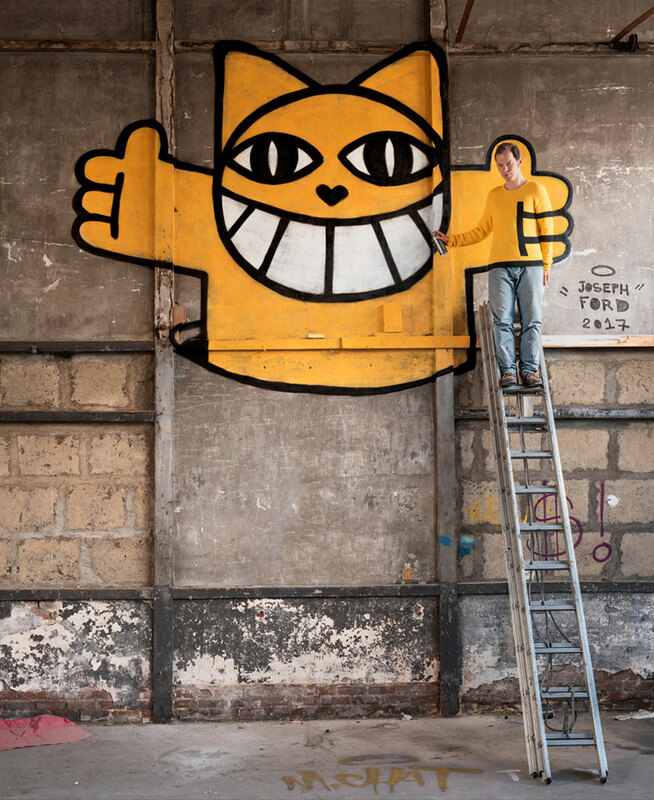 amongst a range of models, the photographer shot well-known parisian twins, mady & monette malroux, as well as street artist monsieur chat, who painted one of his trademark cats on the wall of a derelict factory as part of the project. ford is familiar to the brain-bending and bizarre — previously he set an anamorphic match of tennis in an abandoned swimming pool.